Free Mars Is on Sale Now! Are you a true child of Mars? Did your parents and grandparents strive to make the red sands livable? Did they suffer—did they endure—so that you could live a full and free life? How did you feel when the Earth betrayed them? When Earth forces bombarded their homes from orbit? 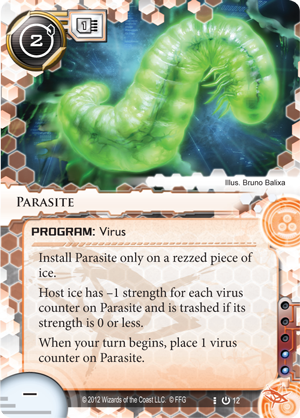 When they unleashed Jinteki’s clones and HB’s newest warroids, as if your family’s bid for freedom was just another sales pitch for a new product line? Did it make you angry? Did it make you angry enough to do something about it? Did it make you angry enough to take up arms against the megacorps and their stooges in the MCA? If it did—if you’re ready to take action—then it’s time to join the Free Mars Council! Join us, and take back your homes. Take back your air and your water. Take back your freedom! 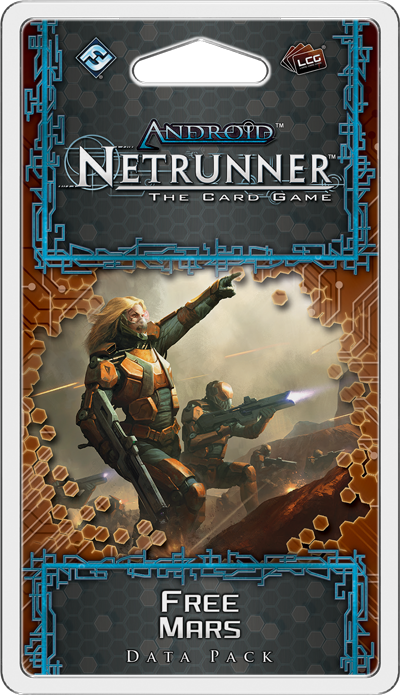 Free Mars, the penultimate Data Pack in the Red Sands cycle for Android: Netrunner is available today. 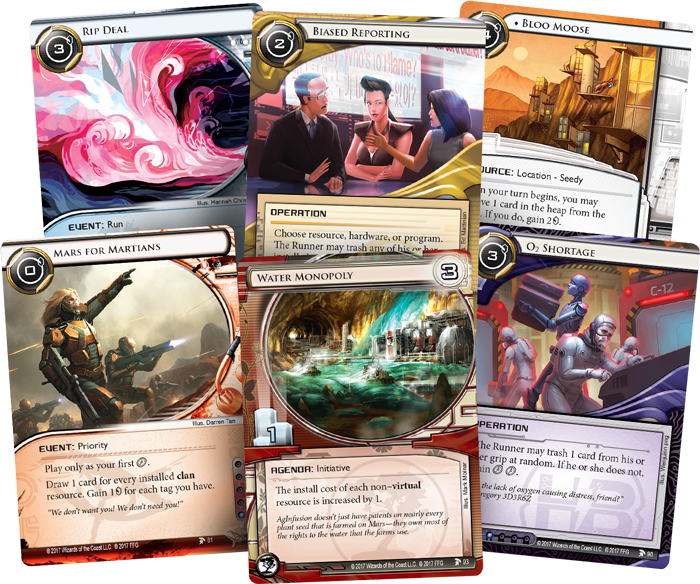 Its sixty cards (three copies each of twenty unique cards) include powerful new weapons for anyone willing to stand up and fight for Mars! The corps on Mars are fortifying their defenses—on the ground and on the Net. 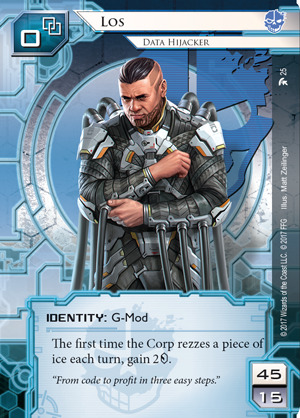 The Free Mars Council may hope to take back their land from the corps with power armor and lasers, but they’re going to need data on where exactly to hit the MCA. 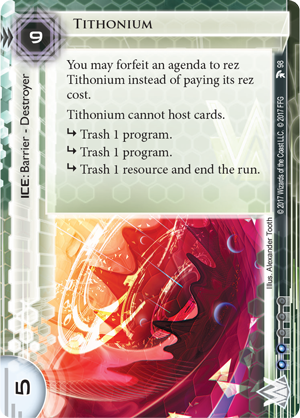 It doesn’t matter whether runners help them get this data because they believe in the cause, want the credits, or enjoy the challenge—they’re going to need innovative new breakers to overcome ice like Tithonium (Free Mars, 98), a powerful barrier-destroyer that’s immune to Parasite (Core Set, 12). 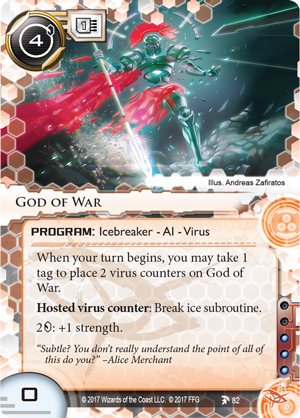 Fortunately, runners can now install a real God of War (Free Mars 82), which can break at least two subroutines for free if you take a tag at the beginning of your turn. While taking a tag is always risky, it can also help you make a statement with Mars for Martians (Free Mars, 81). 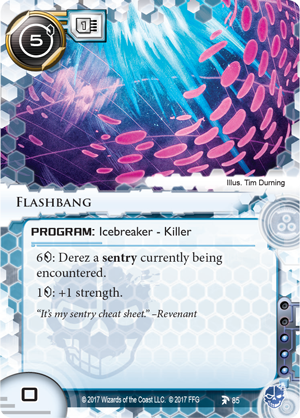 For the more risk adverse Criminals, Flashbang (Free Mars, 85) offers you the opportunity to avoid all the nasty subroutines on a sentry like NEXT Gold (The Valley, 11) by just paying six credits to derez it. 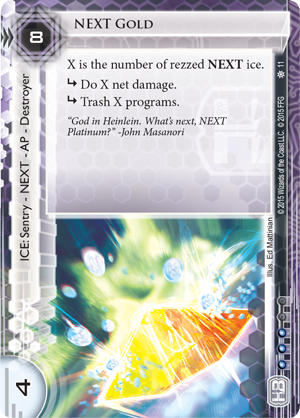 Six credits isn’t cheap, but it may force the corp to lose even more money by repeatedly rezzing their ice. And if you’re playing Los (Station One, 25), that can be quite profitable. Of course, Shapers always have a few tricks compiling on their servers, and they’ve brought Maven (Free Mars, 87) to Mars. 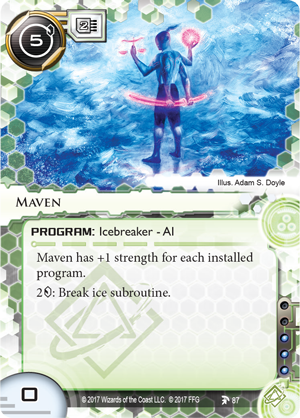 Maven may be able to break subroutines on any kind of ice, but it needs you to install other programs in order to attain the required strength. 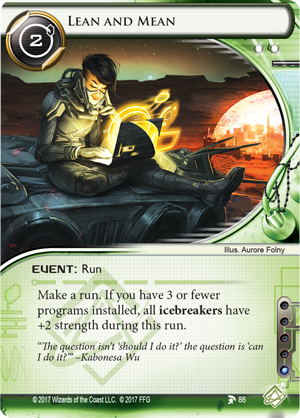 So, you may want to be ready to play Lean and Mean (Free Mars, 86) to boost its strength in the early game before you can set up your whole fourteen-program rig. The corps aren’t waiting for the FMC to finish recruiting every young clansperson on the planet. They know that they need more than their ice and the MCA’s grunts if they’re going to maintain their chokehold on Martian resources. And that’s why they’re holding Open Forums (Free Mars, 97). 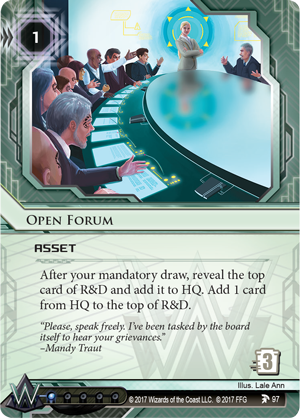 If they can convince the Martian people that their grievances are being heard—that they may even be addressed—the corps know that they can take the fight out of them. They’re betting that no one wants to risk being decapitated by a samurai clone or pulverized by a warroid if they believe their rations will be increased next week. And they may yet win that bet, but not if the FMC can expose their lies. 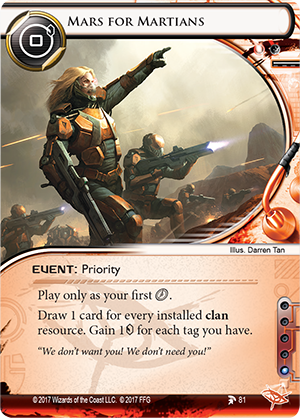 The battle for Martian Independence reaches a boil in Free Mars, so get ready to take back your planet! Get your copy of Free Mars (ADN47) from your local retailer today!